CP's corporate governance practices are consistent with all applicable Canadian and U.S. regulatory guidelines and standards. As CP's securities are listed on the New York Stock Exchange ​(the "NYSE"), and the Toronto Stock Exchange (TSX), CP complies with best corporate governance practices in Canada and the U.S.​, including the requirements of the TSX and NYSE. Mr. Reardon has been Chairman of the Board of CP since July 20, 2015. A CP board member since 2013, he had been Chair of the Finance Committee since early 2015. 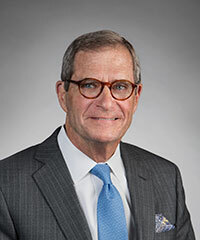 A 40-year veteran of the railroad industry, Mr. Reardon served as Chairman and Chief Executive Officer and President and Chief Executive Officer from 2001 to 2008, and Vice president Law and Human Resources from 1992 to 2000 of TTX Company, the leading railcar leasing company in North America. Following his retirement from TTX, he was an attorney at the law firm of Reardon & Chasar, LPA, which he co-founded in 2009 until he retired in 2011. From 1990 to 1992, Mr. Reardon was a Presidential Appointee to the United States Railroad Retirement Board, having been nominated by President George H.W. Bush and confirmed by the US Senate. Previously, he was the Senior Vice President Law and Administration for Illinois Central Railroad. From 2007 to 2015, Mr. Reardon served on the Board of Directors for Appvion Inc where he served on the Compensation Committee and as Chair of the Governance Committee. 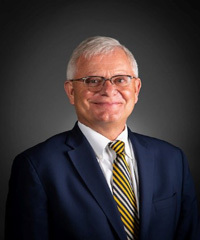 Mr. Reardon has also served on various railroad industry boards including TTX, Terminal Railroad Association of St. Louis and non-executive Chairman of the Peoria and Pekin Union Railway. Mr. Reardon holds a Bachelor’s Degree from the University of Notre Dame, a Juris Doctor Degree from the University of Cincinnati and a Master’s Degree in Taxation from Washington University Law School in St. Louis. A recipient of a Navy ROTC scholarship at Notre Dame, he served as an officer in the United States Navy from 1967 to 1971. Mr. Reardon brings to the board extensive experience relating to executive management, finance, law, corporate governance and the rail industry. The Honourable John Baird most recently served as a Member of Parliament of Canada until March of 2015. He was elected in the House of Commons in 2006 and was re-elected in 2008 and 2011. As a Member of Parliament he was the President of the Treasury Board, Minister of the Environment, Minister of Transport, Infrastructure and Communities, the Government House Leader and, most recently, the Minister of Foreign Affairs until February 2015. 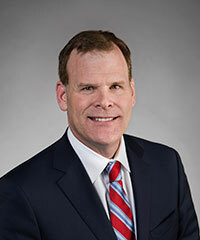 Mr. Baird holds an Honours Bachelor of Arts degree in political studies from Queen's University. He was designated as a Privy Councillor in 2006. 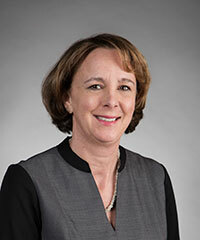 Ms. Courville is Chair of the Board of Directors of the Laurentian Bank of Canada. From 2007 to 2013, she was President of Hydro-Québec Distribution and Hydro-Québec TransÉnergie. Ms. Courville was active for 20 years in the Canadian telecommunications industry. 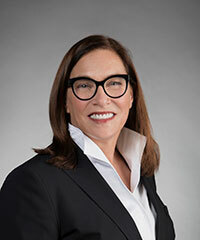 She served as President of Bell Canada's Enterprise Group and as President and Chief Executive Officer of Bell Nordiq Group. Ms. Courville holds a Bachelor's degree in Engineering Physics from the École Polytechnique de Montréal and a Bachelor's degree in Civil Law from McGill University. On January 31, 2017, Keith Creel assumed his new role as president and chief executive officer, becoming the 17th person to lead the company since 1881. Mr. Creel was appointed president and chief operating officer in February, 2013 and joined the CP Board of Directors in May of 2015. Under Keith's leadership, CP will continue to find safer, more efficient ways to connect customers to domestic and global markets, and will continue to play a prominent role in connecting communities in both Canada and the U.S. 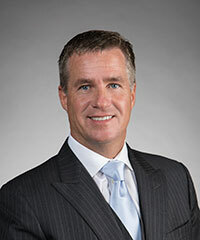 Prior to joining CP, Keith was executive vice-president and chief operating officer at Canadian National (CN). He held various positions at CN including executive vice-president, operations, senior vice-president eastern region, senior vice-president western region, and vice-president of the prairie division. Keith began his railroad career at Burlington Northern Railway in 1992 as an intermodal ramp manager in Birmingham, Alabama. He also spent part of his career at Grand Trunk Western Railroad as a superintendent and general manager and at Illinois Central Railroad as a trainmaster and director of corridor operations, prior to its merger with CN in 1999. Keith obtained a Bachelor of Science in Marketing from Jacksonville State University. He also completed the Advanced Management Program at the Harvard Business School. Keith has a military background as a commissioned officer in the US Army, during which time he served in the Persian Gulf War in Saudi Arabia. Recognized for his leadership at CP, Keith was named by Progressive Railroading as “Railroad Innovator” for 2014. Ms. Denham joins the CP board after a career spent in senior roles in the financial services industry. She was the Vice Chair Retail Markets at CIBC from 2001 through 2005 and the Managing Director Head of Commercial Banking and E-Commerce at the bank from 1999 to 2001. Prior to that, Ms. Denham served CIBC overseas in London, UK as the Managing Director Head from 1995. She entered the financial services industry in 1983. 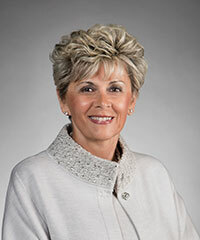 Ms. MacDonald is a founder and current Executive Chair of Just Energy Group Inc., a Toronto-based independent marketer of deregulated gas and electricity. Ms. MacDonald has been a director of Just Energy since 2001 and has held the position of Executive Chair since 2007. She served as President and Chief Executive Officer of Just Energy prior to becoming Executive Chair in 2007. In 1989, Ms. MacDonald founded Energy Marketing Inc., and in 1995 founded another company which aggregated customers within the U.K. natural gas deregulation. Ms. MacDonald is a member of the Board of Governors of the Royal Ontario Museum and a member of the Board of the Horatio Alger Association in both Canada and the United States. She founded the Rebecca MacDonald Centre for Arthritis and Autoimmune Disease at Mount Sinai Hospital in Toronto. She is Vice-Chair of the Board of Directors of Mount Sinai Hospital. Ms. MacDonald holds an honorary LLD degree from the University of Victoria. 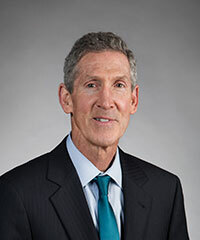 Mr. Monser began his engineering career in 1981 and has served as an executive vice-president, chief operating officer, and president at Emerson, a global technology and engineering company. At Emerson, he helped drive the company's international growth. Mr. Monser retired as the president of Emerson, in October 2018. Mr. Monser serves on the advisory Economic Development Board for China's Guangdong Province. He is a past board member and past vice-chairman of the U.S.-China Business Council. He is also active in promoting international understanding and trade as a member and current vice-chairman of the U.S.-India Strategic Partnership Forum. An advocate for lifelong learning, and a former high school teacher, Mr. Monser lends his time and expertise to a number of educational, civic and charitable organizations. Mr. Monser holds a bachelor's degree in electrical engineering from the Illinois Institute of Technology and a bachelor's degree in education from Eastern Michigan University and is an alumnus of the executive education program at Stanford University's Graduate School of Business. Mr. Paull was Senior Executive Vice President and Chief Financial Officer of McDonald’s Corporation, a global foodservice retailer, from July, 2001 until he retired from that position effective, January 2008. 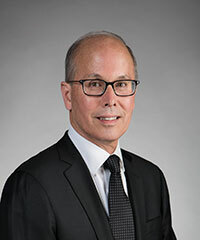 Prior to joining McDonald's in 1993, Mr. Paull was a partner at Ernst & Young where he managed a variety of financial practices during his 18-year career. He served as a director and a member of the Audit Committee of Best Buy Co. (NYSE: BBY) from 2003 through April 2013, as its Lead Independent Director from 2010 through April 2013, and served as Chairman of its Finance and Investment Policy Committee. Mr. Paull has served as​ a director of Air Products & Chemicals Corporation since September, 2013 and currently chairs the Audit & Finance Committee at Air Products. Mr. Paull is also a director of KapStone Paper and Packaging Corporation (NYSE: KS), an advisory director of Pershing Square Capital Management, L.P. and an advisory director of The One Acre Fund. Mr. Paull earned a Bachelor of Arts degree and a Masters in Accounting Science degree from the University of Illinois. Ms. Peverett is a member of the Board of Directors of Canadian Imperial Bank of Commerce (CIBC) and Northwest Natural Gas Company. 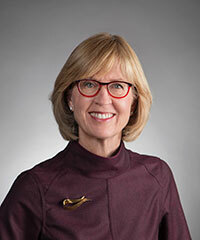 She most recently served as President and Chief Executive Officer from 2005 to 2009 and Chief Financial Officer from 2003 to 2005 of British Columbia Transmission Corporation. She was the chief executive officer of Union Gas Ltd. from 2001 to 2003. She is an Executive Committee Member for the Institute of Corporate Directors, BC Chapter and a Fellow of the Society of Management Accountants. Ms. Peverett holds a Bachelor of Commerce from McMaster University, an MBA from Queen's University and is a Certified Management Accountant. Mr. Trafton joins CP's board after years of senior-level leadership positions in the rail industry. In 2010, Mr. Trafton retired from his position of Special Advisor to the Canadian National (CN) leadership team. From 2003 to 2009, he successively served as CN's Senior Vice President Strategic Acquisitions and Integration and as Senior Vice President Southern Region. Before joining CN, he held a number of leadership positions with Illinois Central Railroad and Burlington Northern Railroad. Mr. Trafton holds a Bachelor of Science, Transportation Management from the Leeds School of Business at the University of Colorado Boulder and now serves as a director of the Leeds School of Business Board of Alumni and Friends, and as a board member for the nonprofit City Year in Denver. Over the past six years, he has served on three additional nonprofit education boards. Canadian Pacific is one of Canada's oldest and most recognizable companies. We take pride in CP's historic legacy, its role as a business leader, and its reputation for honesty, integrity and the faithful performance of its undertakings and obligations. In 2002, CP conducted an assessment of its key internal controls and disclosure controls and procedures and developed a quarterly evaluation process involving confirmations of the efficacy of such controls by all key CP officers. Since then, CP has been engaged in a more comprehensive review of internal controls over financial reporting in preparation for the initial filing with the US Securities and Exchange Commission of a management report on such controls, in accordance with Section 404 of the US Sarbanes-Oxley Act of 2002 ("Sarbanes-Oxley Act"). Such management reports will have to be filed annually by US domestic companies and foreign private issuers with securities listed for trading in the US. They must also be attested to by the company's independent auditors. Prior to the Sarbanes-Oxley Act, CP had adopted a comprehensive Disclosure and Insider Trading/Reporting policy and appointed a Disclosure Policy Committee, which reports directly to the Board, to oversee all matters relating to disclosure. The policy is reviewed and updated, as necessary, annually by the Board. Our confidential, anonymous and independent third party administered website and hotline was established for reporting concerns related to ethical business practices, violation of Code of Business Ethics and policies, environmental and safety violations, and accounting and auditing misconduct. Canadian Pacific is committed to increasing diversity throughout the Company. This includes striving to maintain and increase diversity at the Board level through to our executives, senior management and employees. CP understands that a diverse and inclusive work environment provides the Company with a broader range of experience and perspectives that, in turn, creates a stronger and more successful railway. The Company supports the principle of boardroom diversity, of which gender is one important aspect. The Corporate Governance and Nominating Committee, which is responsible for recommending director nominees to the Board, seeks to attract the highest quality of director nominees. In making recommendations, the Corporate Governance and Nominating Committee will take into account diversity considerations, such as gender, age, cultural heritage and regional representation.